is running on 10.2 out of box. The BlackBerry 10.2 update brings a new Priority Hub, BBM Video with Natural Sound feature, messages preview from any app, better keyboard, easier sharing options, lockscreen notifications, better calendar and reject call with SMS/BBM option. BlackBerry 10.2 launches for the BlackBerry smartphones in Africa, Asia Pacific, Canada, Europe and the Middle East this week. Latin America will be getting the update in November, while USA will follow at the begging of the winter. Of course, the update rollout also depends on if your device is unlocked SIM-free or carrier-locked. 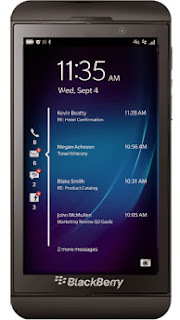 If you got your Z10/Q10 on a contract you may have to wait a few more weeks to get you phone up to date.